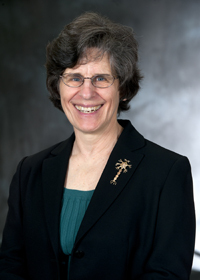 Dr. Janet M Dubinsky, Professor of Neuroscience at the University of Minnesota (UMN), directs the BrainU professional development program for secondary science teachers, www.brainu.org, and teaches graduate and undergraduate neuroscience. Winner of the 2009 Society for Neuroscience Science Educator Award, she serves on the Society’s Public Education and Communication Committee. In 2008, she co-chaired the Minnesota P-16 Education Partnership Science Postsecondary and Workforce Readiness Working Group, aligning K-12 Science Standards with expectations of the workforce and higher education. Jan's research program investigates metabolic compromise in neurodegenerative disease. She chairs the UMN Neuroscience Outreach Committee which runs the Brain Awareness Week and Minnesota Brain Bee. In a 2013 publication, Dr. Dubinsky addresses the need for both pre-service and in-service teacher training in neuroscience: http://edr.sagepub.com/content/42/6/317.abstract.